Never before has Tamar felt so alone. Her older brother is dead, her mum's away and her dad's so wrapped up in restoring their ancient farmhouse he avoids talking about the things that really matter. Even friendly new neighbour Gavin can't get through to her, despite his eager attempts. I love books involving time travel. I don't know if I've mentioned this before. What I loved about the time travel aspect of this book was how the characters dealt with it - not in a 'we need to figure this out and go back in time to kill Hitler!' way, but in a 'so this is happening, how interesting, what does this mean?'. Despite this novel being full of incredibly sad events and dark moments, it's really very sweet - Tamar is a beautiful character, and the entire book is very dream-like. 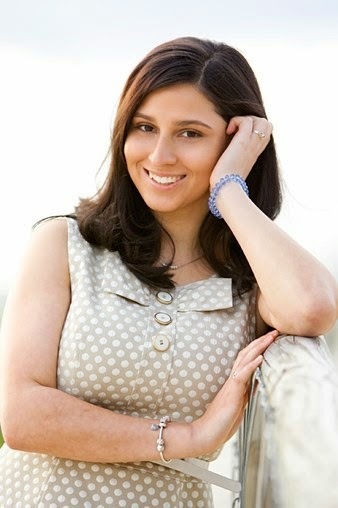 Tamar is somewhat disconnected from reality after the loss of her brother, and her relationship with Nathaniel is lovely, despite him being in the wrong timeframe. It has all of the elements that could make it a generic sort of paranormal romance novel, but it's something else entirely. It has dual narrators, but I found a great deal of Gavin's point-of-view chapters unnecessary - he was well-written and very distinct from Tamar's POV, but hers was where the main plot of the story occurred. He did ground the story in our reality well, though. I read Soraya the Storyteller, by the same author, quite a few years ago for school, and remember it being wonderful. 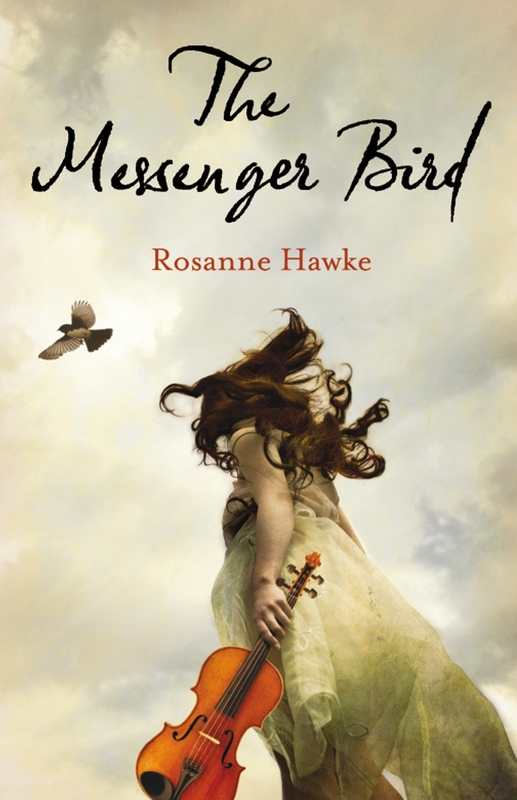 The Messenger Bird is really quite glorious. Kate Elliot isn't trying to fit in. Everything about her – especially her goth make-up and clothes – screams different and the girls at her school keep their distance. Besides, how can Kate be herself, really herself, when she's hiding her big secret? The one that landed her in boarding school in the first place. She's buried it down deep but it always seems to surface. But then sometimes new friends, and even love, can find you when you least expect it. So how do you take that first step and reveal yourself when you're not sure that people want to see the real you? 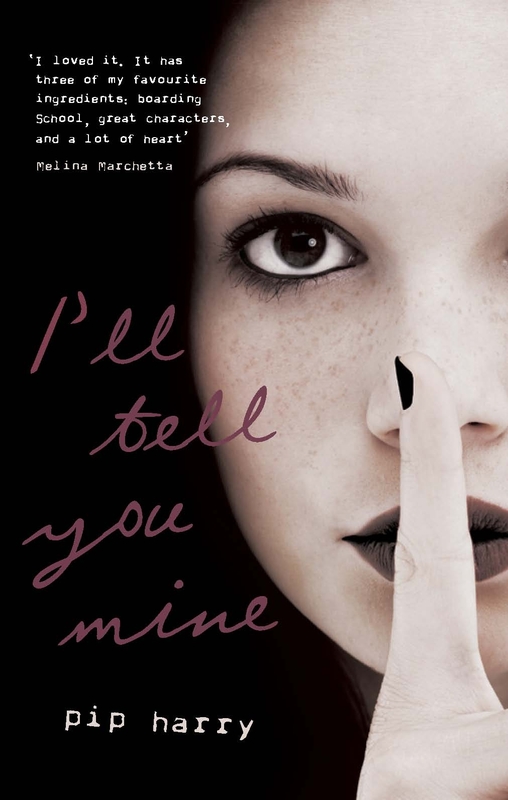 When I started reading I'll Tell You Mine, I was under the impression it was for a younger YA audience, and I am not exactly sure why - I think it may have been the vagueness of the blurb, and the fact that the protagonist is 15. It turns out I was wrong. 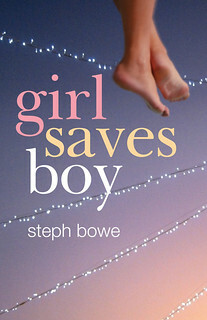 I think this is more of a 14+ YA (though really, nothing so bad a mature but younger reader couldn't pick it up). 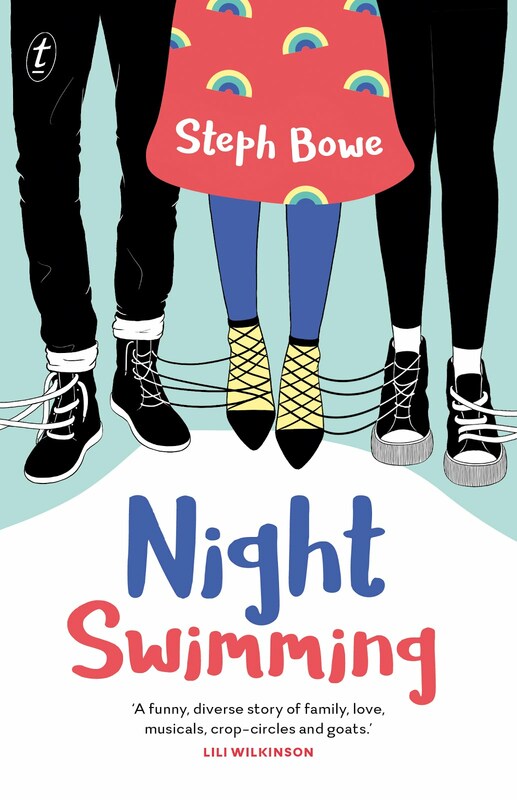 It's nowhere near as generic as the blurb may suggest - there was a realness to the book, and to Kate, that made the traditional-YA-plotline (rebellious girl goes to boarding school, finds self, friends, love) into a brilliant novel. The rebelliousness of Kate seemed so genuine, I felt that it could have been written by someone going through teenagerdom right now (this is a compliment! I think teenagers can write well about being teenagers! As can adults who think the teenage experience is a legitimately challenging thing, and can relate to it, still). The mystery of the 'big secret' wasn't what kept me reading - it was the wonderful but unpretentious writing, and how easy the protagonist was to relate to (speaking as the least rebellious person in the history of the universe). Kate's relationship with her parents was perfectly done, as were her various romantic pursuits - no false perfection here. The Melbourne setting - and her trip to the country - were familiar and well-captured. There was an honesty and rawness to the novel which I loved. I can think of so many teenage girls I know who would enjoy this. When the court sent Jamie Riley to Port Barren, he hadn't expected much – thought he'd just serve his time and get out. He hadn't counted on being drawn into the town's murky past, into a web of secrets, lies and murder which might well cost him much more than just his freedom. This is the story of a boy's journey to reveal a buried secret, and of a town too scared of its past to face its future. It's a story for anyone who dreams . 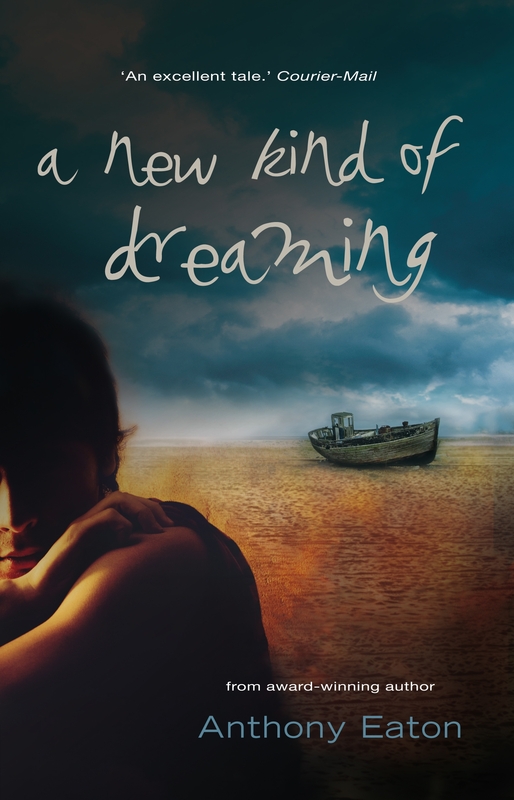 . .
A New Kind of Dreaming was originally published in 2001, and recently re-released. Sometimes I find with YA novels that are ten or twenty years old, they can be appreciated for the time they were published, but they don't really measure up to modern expectations. This definitely wasn't the case with A New Kind of Dreaming - it was terrifying and original. Only one thing really dates the novel - the absence of mobile phones, which could really help out the protagonist at various points in the novel (about 90% of problems in novels can be solved with a phone call or a text, I've noticed. It makes writing books these days difficult, but real life a lot easier). The plotline involving asylum seekers especially was heartbreaking. Jamie's consistent poor decision-making was incredibly frustrating (why are you not going to the police, gosh! I frequently wondered. To be fair, one particular police officer was kind of untrustworthy.) - even though it's consistent with his characterisation. All of the characters were wonderfully drawn, the setting was desolate and creepy and all kinds of great. 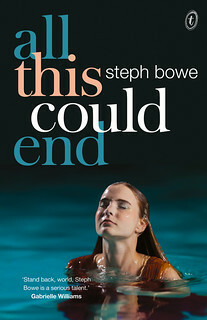 If you're looking for a read that's scary and suspenseful and very, very real, this is it.